Preach the Word! That simple imperative frames the act of preaching as an act of obedience. That is where any theology of preaching must begin. Preaching did not emerge from the church's experimentation with communication techniques. The church does not preach because preaching is thought to be a good idea or an effective technique. The sermon has not earned its place in Christian worship by proving its utility in comparison with other means of communication or aspects of worship. Rather, we preach because we have been commanded to preach. Preaching is a commission--a charge. As Paul stated boldly, it is the task of the minister of the gospel to "preach the Word, . . . in season and out of season" [2 Tim. 4:2]. 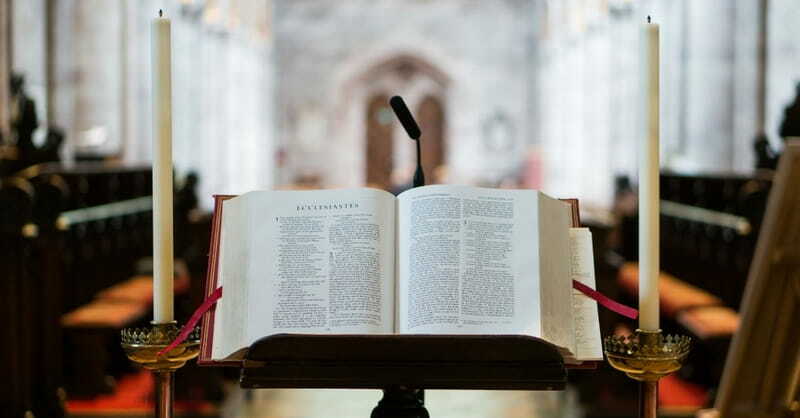 A theology of preaching begins with the humble acknowledgement that preaching is not a human invention but a gracious creation of God and a central part of His revealed will for the church. Furthermore, preaching is distinctively Christian in its origin and practice. Other religions may include teaching, or even public speech and calls to prayer. However, the preaching act is sui generis, a function of the church established by Jesus Christ. As John A. Broadus stated: "Preaching is characteristic of Christianity. No other religion has made the regular and frequent assembling of groups of people, to hear religious instruction and exhortation, and integral part of divine worship." The importance of preaching is rooted in Scripture and revealed in the unfolding story of the church. The church has never been faithful when it has lacked fidelity in the pulpit. In the words of P. T. Forsyth: "With preaching Christianity stands or falls, because it is the declaration of the gospel." The church cannot but preach lest it deny its own identity and abdicate its ordained purpose. Preaching is communication, but not mere communication. It is human speech, but much more than speech. As Ian Pitt-Watson noted, preaching is not even "a kind of speech communication that happens to be about God." Its ground, its goal, and its glory are all located in the sovereign will of God. The primary Greek form of the word "preach" (kerusso) reveals its intrinsic rootage in the kerygma--the gospel itself. Preaching is an inescapably theological act, for the preacher dares to speak of God and, in a very real sense, for God. A theology of preaching should take Trinitarian form, reflecting the very nature of the self-revealing God. In so doing, it bears witness to the God who speaks, the Son who saves, and the Spirit who illuminates. True preaching begins with this confession: we preach because God has spoken. That fundamental conviction is the fulcrum of the Christian faith and of Christian preaching. The Creator God of the universe, the omniscient, omnipotent, omnipresent Lord, chose of his own sovereign will to reveal Himself to us. Supreme and complete in his holiness, needing nothing and hidden from our view, God condescended to speak to us--even to reveal Himself to us. As Carl F. H. Henry suggests, revelation is "a divinely initiated activity, God's free communication by which he alone turns His personal privacy into a deliberate disclosure of his reality." In an act of holy graciousness, God gave up His comprehensive privacy that we might know Him. God's revelation is the radical claim upon which we dare to speak of God--He has spoken! Our God-talk must therefore begin and end with what God has spoken concerning Himself. Preaching is not the business of speculating about God's nature, will, or ways, but is bearing witness to what God has spoken concerning Himself. Preaching does not consist of speculation but of exposition. The preacher dares to speak the Word of truth to a generation which rejects the very notion of objective, public truth. This is not rooted in the preacher's arrogant claim to have discovered worldly wisdom or to have penetrated the secrets of the universe. To the contrary, the preacher dares to proclaim truth on the basis of God's sovereign self-disclosure. God has spoken, and He has commanded us to speak of Him. The Bible bears witness to itself as the written Word of God. This springs from the fact that God has spoken. In the Old Testament alone, the phrases "the Lord said," "the Lord spoke," and "the word of the Lord came" appear at least 3,808 times. This confession brings the preacher face to face with Scripture as divine revelation. The authority of Scripture is none other than the authority of God Himself. As the Reformation formula testifies, "where Scripture speaks, God speaks." The authority of the preacher is intrinsically rooted in the authority of the Bible as the church's Book and the unblemished Word of God. Its total truthfulness is a witness to God's own holiness. We speak because God has spoken, and because he has given us His Word. As Scripture itself records, God has called the church to speak of Him on the basis of his Word and deeds. All Christian preaching is biblical preaching. That formula is axiomatic. Those who preach from some other authority or text may speak with great effect and attractiveness, but they are preaching "another gospel," and their words will betray them. Christian preaching is not an easy task. Those who are called to preach bear a heavy duty. As Martin Luther confessed "If I could come down with a good conscience, I would rather be stretched out on a wheel and carry stones than preach one sermon." Speaking on the basis of what God has spoken is both arduous and glorious. A theology of preaching begins with the confession that the God who speaks has ultimate claim upon us. He who spoke a word and brought a world into being created us from the dust. God has chosen enlivened dust--and all creation--to bear testimony to his glory. John Calvin understood this truth when he affirmed that "The Word goeth out of the mouth of God in such a manner that it likewise goeth out of the mouth of men; for God does not speak openly from heaven but employs men as His instruments." Calvin understood preaching to be the process by which God uses human instruments to speak what He Himself has spoken. This He accomplishes through the preaching of Scripture under the illumination and testimonium of the Holy Spirit. God uses preachers, Calvin offered, "rather than to thunder at us and drive us away." Further, "it is singular privilege that he deigns to consecrate to Himself the mouths and toungues (sic) of men in order that His voice may resound in them." R. Albert Mohler, Jr. is president of The Southern Baptist Theological Seminary in Louisville, Kentucky. For more articles and resources by Dr. Mohler, and for information on The Albert Mohler Program, a daily national radio program broadcast on the Salem Radio Network, go to www.albertmohler.com. For information on The Southern Baptist Theological Seminary, go to www.sbts.edu. Send feedback to mail@albertmohler.com. See also the most recent entries on Dr. Mohler's Blog.